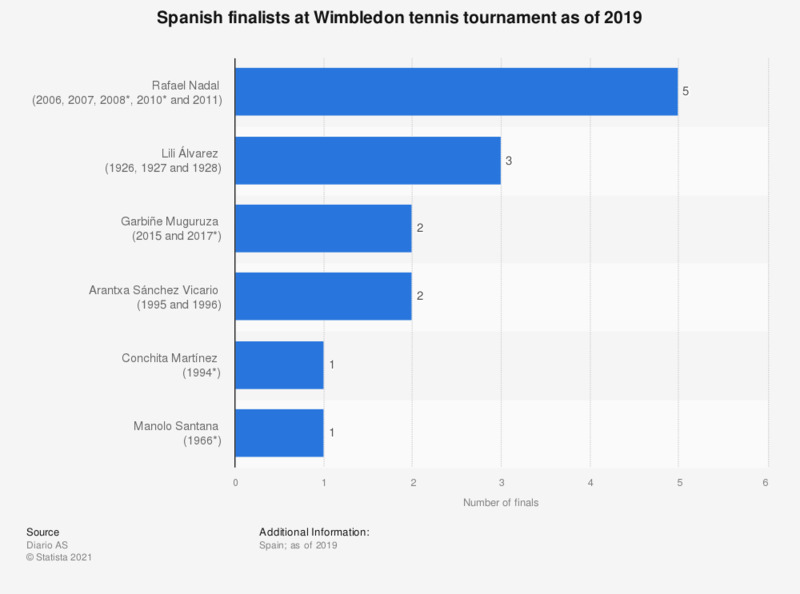 This statistic presents the list of Spanish tennis players, both men and women, who ever played the final match at Wimbledon until the 2018 edition. Rafael Nadal, winner in 2008 and 2010, had played the final on five occasions. Garbiñe Muguruza, winner in 2017, had played the final on two occasions.